Seeking spiritual growth? Chant HU! 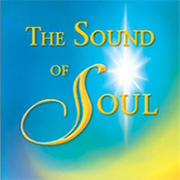 Experience a spiritual tool that can help transform your life at a Sound of Soul event. You are invited to chant the word HU—an ancient, sacred name for God that has been sung for thousands of years in many lands for spiritual unfoldment. It is the Sound of Soul. Guided by a facilitator, the event consists of chanting HU, participating in contemplative time, and then enjoying spiritual conversation with others of like heart. Chanting HU can uplift people of any religion, culture, or walk of life.